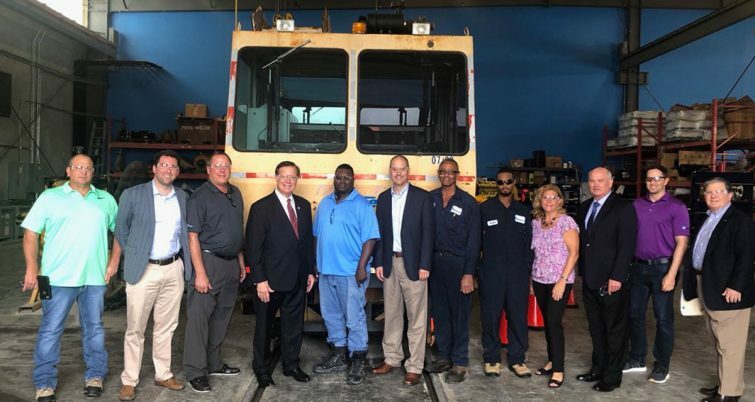 U.S. Rep. Randy Weber (R-TX) visited RailWorks Track Systems and other transportation stakeholders June 18 for a tour if the company’s facility and transportation policy discussion. 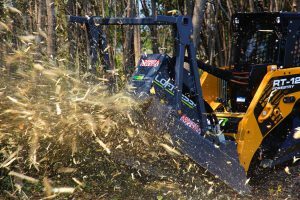 The event was held at RailWorks Track Systems’ Deer Park facility, officials said. 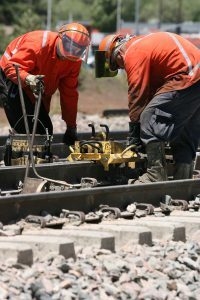 The National Railroad Construction and Maintenance Association (NRC), the Railway Engineering-Maintenance Suppliers Association (REMSA) and grassroots advocacy organization GoRail coordinated the event, officials said. Bob Rolf, P.E., vice president and general manager for RailWorks Track Systems, led the tour. 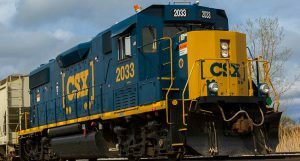 RailWorks employs 240 in Texas at its Deer Park, Beaumont and Dallas-Fort Worth facilities and also employs thousands more throughout the U.S., the company said. In Texas, 52 freight railroads maintain 10,539 track miles and employ 16,826 individuals. Data from the U.S. Chamber of Commerce suggests that nearly 1 million Texas-based jobs would be put at risk by withdrawing from NAFTA. 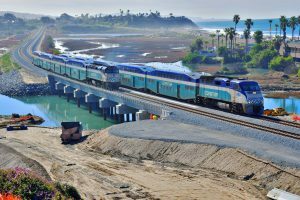 A recent study conducted by the Association of American Railroads (AAR) also revealed that 42 percent of rail carloads and intermodal units and 50,000 rail jobs depend on international trade, according to an NRC statement. The group thanked Weber for his support, having co-sponsored the Building Rail Access for Customers and the Economy (BRACE) Act, which is set to enable the nation’s small, local freight railroads to increase their reinvestments to upgrade and grow the “first and last mile” of transportation infrastructure. Attendees discussed the private nature of America’s freight railroad network, as well, which, unlike other modes of freight transportation, does not rely on federal support for the growth or maintenance of its network. Rep. Weber was elected to Congress in 2012 after serving four years in the Texas State House. He serves on the U.S. House Transportation and Infrastructure Committee and the Railroads, Pipelines, and Hazardous Materials Subcommittee. Rep. Weber also holds a leadership role on the Science, Space, and Technology (SST) committee, serving as the chairman of the Energy Subcommittee. For more than 60 years, Weber has resided on the Gulf Coast.